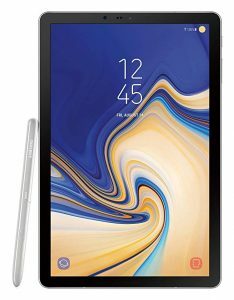 The Samsung Galaxy Tab S4 is an improved and enhanced version of Galaxy Tab S3. Its screen resolution is 1600 x 2650 almost similar to iPad pro’s screen. It comes equipped with an S Pen. It feels natural to hold and the S Pen is larger than that of Note Smartphone. 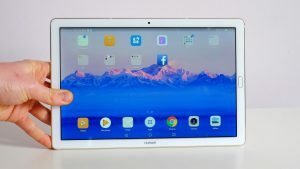 For this tablet, Samsung got rid of the Home Button. Its edges are slim and uniform on the entire device. The biggest advantage is its battery, which lasts up to 16 hours of video playback. You can even enjoy DeX mode on this tablet and switch between windows like you would on a windows laptop. 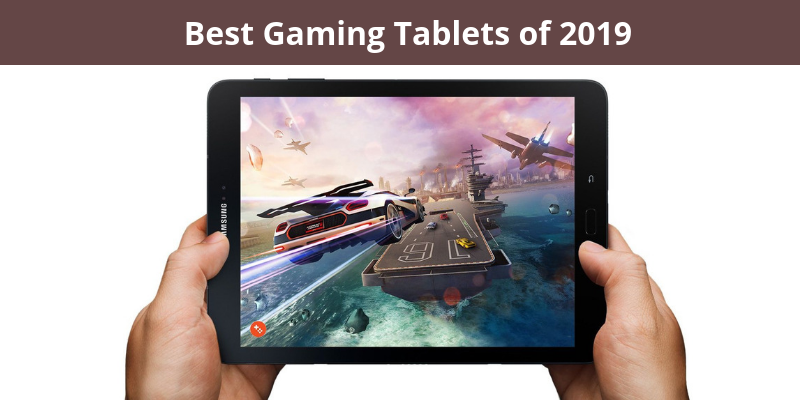 It is elegant and versatile and safe to say, the best tablet right now for your gaming needs. This is a great gaming tablet of 2019 after Samsung for gaming purpose. 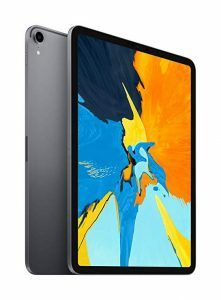 If you need an iPad that is convenient to take everywhere, iPad Pro is your best choice. It has an impressively beautiful display with the best color correction and incredible color production, the display is called Liquid Retina. The speakers are beyond amazing with separate tweeters and subwoofers for clear and crisp sound. It outputs in EDR instead of HDR which gives a wide range of colors and brightness. With sharp colors and the best sound, this one is a perfect gadget for every gaming nerd. This is the coolest and most elegant tablet in the market. What makes it unique is the built-in projector at the back of the device that no other tablet in the market has till date. The best part, it comes with a kickstand so that it can be detached from the device. You can put it on the table, flip it or you can even hang it from the wall and project its projection all the way across the room. It even has a manual focus that you can use depending on the game you’re playing. It uses Android Lollipop OS which is the second most recent OS by Android. The screen size is really large with full HD pixels and resolution. If you’re running low on money and can’t afford the iPad Pro, this is the best alternative for you. If you’re a casual gamer on a budget looking for something for yourself, Amazon Fire is the thing for you. It has 1080 HD video playback, the largest screen in the seventh generations and the most powerful version yet. The battery can last up to 10 hours when you’re using very power intensive apps. It is best for binge-watching your favorite shows on Netflix. For Amazon customers, it has a wide range of perks in store for you. 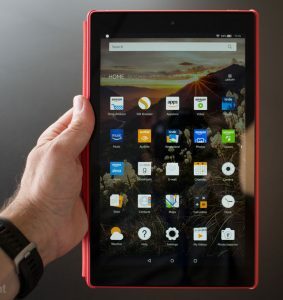 All in all, Fire HD 10 is best for your daily casual use. 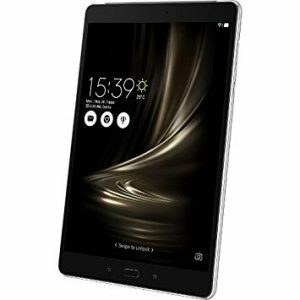 If you’re looking for something with specifications close to Samsung S4 tablet, this tablet is for you. It comes equipped with quad speakers and a touch pen called M Pen. 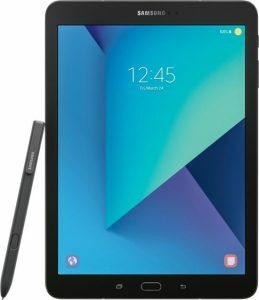 It has 4096 levels high precision stylus and uses pressure sensitivity sound and uses USB type C. Quality-wise the screen is excellent and can be compared to iPad Pro’s screen. It has an elegant design and is best for watching movies or playing your favorite games at a cheaper price. 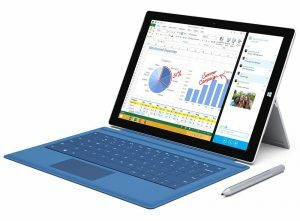 Microsoft Surface Pro is the most versatile tablet and is also a unique ultra-portable PC. 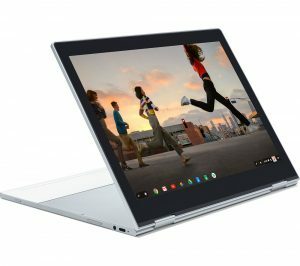 It is sleek and sturdy and has a beautiful screen along with a full keyboard. With this tablet, you can stream and play your PC games very easily. 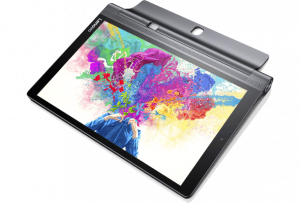 It has Intel’s eight generation processor and the display is bright and features more contrast with 267 pixels per inch. It has an HDR Screen and with its brightness, it pops up more especially in sunlight making it the tablet for your gaming needs. It comes equipped with an S pen making it great for artists and designers for detailed art. It has a sleek combination of glass and metal which gives off a more premium look. It has HDR support, with superb screen details and brightness. It allows you to use intensive powerful apps and it also supports multi-window with a battery life of about 12 hours of video playback. It has a resolution of 2048 x 1536 pixels and it ensures that quality isn’t compromised when it’s used under direct light. It has a high-resolution touch screen that you can flip around in a tablet mode comfortably. The split screen option is also available so you can perform multiple tasks at a time. It has a stylus which works way better than an iPad pro. It is made of aluminum with a glass screen and is super elegant. It is extremely fast and the color quality is very high and flashy. It is even capable of running Android apps and Linux apps. 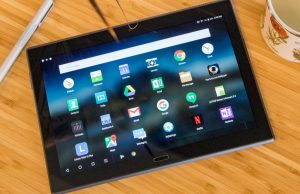 If you want a cheap tablet with an excellent performance, this tablet is for you. It has a magnificent color rendering although the screen resolution isn’t the best. It has an excellent battery life for real-life usage. The brightness is really great and it can easily be used outside in the glaring sun. Even though it doesn’t come close to Samsung Tab 4 or iPad Pro it is still pretty good for all your favorite Android games like Minecraft and PUBG.